Your health is our priority. That’s why we provide clinical laboratory services to patients with and without health insurance. If you do not see your insurance plan listed below, please click the button below or call our office to inquire about your particular plan or situation. We are always adding to this list and will work with you to make sure you are taken care of the best we possibly can. 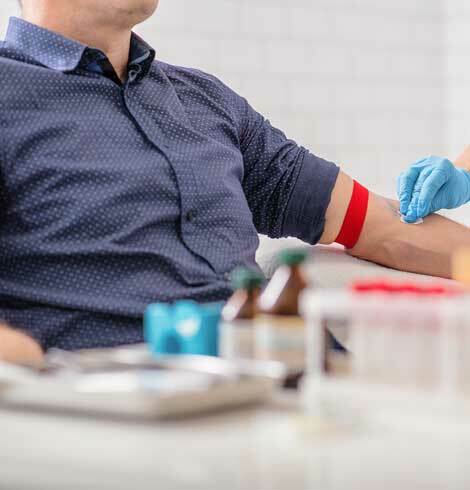 By using the top medical technology and instrumentation, we are able to quickly obtain accurate results for bloodwork, urine tests, and most other lab tests that physicians, hospitals, and other healthcare providers request from their patients. We work with patients who are insured, underinsured, and uninsured to make sure your health stays the number one priority. Call us today with any pricing and insurance questions you may have. Our highly trained staff and top-of-the-line medical technology is the best in the business. With over 20 years of expertise backing every test, sample, and interaction, Physicians Stat Lab is the most trusted name in laboratory services in Florida. Not only are we highly trained and affordable but, with multiple Patient Care Centers across the state of Florida, Physicians Stat Lab is the most convenient and fastest choice for all your medical test needs.